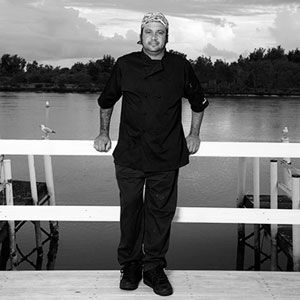 History: Todd’s cooking career began at 16 years of age, in a small fishing village called Bermagui on the far south coast of NSW. He then worked at a seafood restaurant, called Saltwater. Todd’s passion for food came about when working here, as they sourced seafood direct from fishing boats & grew their own produce. As part of his training he learnt how to maintain the garden beds. 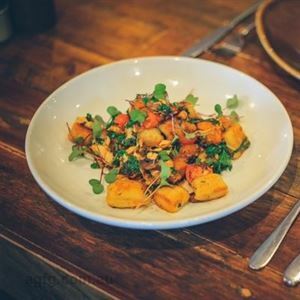 This planted the seed for the ‘paddock to plate’ dining experience which he has continued on with in his Café –LV’s on Clarence. 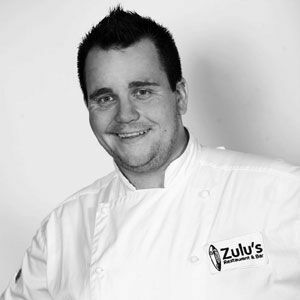 Seafood is a passion for Todd – working on fishing boats in his teen years, he learnt about the best ways of using, storing, cooking, eating and most importantly respecting the produce. After he learnt all he could his home town, he set off on a journey around Australia, working in some of the best restaurants along the way. After working with so many different chefs and styles of cuisine, he found his forte in Contemporary Australian with northern Italian Influence. 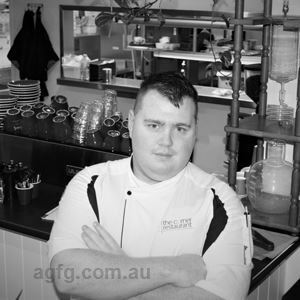 At the ripe age of 22 and fully qualified, he longed for a head chef position which he found at The Corner Restaurant, Port Macquarie – winning many awards and becoming well known in the local area. After 5 years, Todd and Wife Lisa couldn’t resist the urge to start their own café, ‘LV’s on Clarence’, named after their two children named Laiken and Violet. 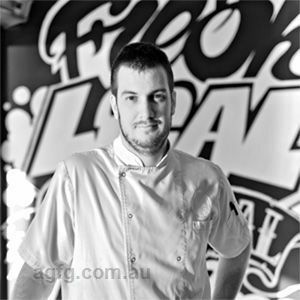 Yes, I have always had passion for sourcing local produce and creating unique dishes. Contemporary Australian with a European accent. Cured meats, cheeses and homemade sourdough breads & wraps. Justin North and Paul Leet. Talking and working with local growers and producers also inspires me. The fact that it’s always evolving, the freedom it brings to try new things and the enjoyment that people get from an amazing meal. Food brings people together and it’s great to be part of that. Cuttlefish & its ink risotto with pickled fennel & lemon infused olive oil. Slow roasted pork belly slider with celeriac remoulade & sour cherry jam.